Three people in Croatia accused of attacking Serbian water polo team players on Saturday will face hate crime charges. Croatian police have detained three suspects over an attack on Serbian water polo team players, which occurred Saturday. Players from the Red Star Belgrade water polo team jumped into the sea while trying to elude Croatian nationalists at a beachfront cafe. The team decided not to play the match vs. Mornar Split. Antal Bolvari, a two-time Olympic water polo champion for Hungary who scored in the famous "Blood in the Water" match vs. the Soviet Union at the 1956 Games, has died. A water polo coach in Southern California has pleaded not guilty to charges he sexually abused seven of his young female players. Kami Craig and Courtney Mathewson retired from the U.S. women's water polo team Wednesday after a dominant run that included consecutive Olympic titles. The Brenda Villa Aquatic Center in Commerce, California, teaches water safety to an under-served community and produces NCAA-level athletes. The U.S. women's water polo team, which has won every major competition since the 2013 worlds, defeated Spain to stay unbeaten at the world championships. Ashleigh Johnson, the first African-American member of the U.S. women's Olympic water polo team, helped lead the program to gold in Rio. We asked teammate Maggie Steffens about Johnson's skill. After water in the pools at the aquatics center in Rio turned into an unslightly shade of green, top Tokyo officials ensured that such a debacle does not happen during the 2020 Games. Boxer Claressa Shields and water polo goaltender Ashleigh Johnson were recognized as Sportswomen of the Year at the Women's Sports Foundation's annual dinner Wednesday night. Serbia dethrones Croatia to win the nation's first gold medal in men's water polo. The U.S. women's water polo players rallied around their coach after his brother died shortly before the Olympics. And then they dominated in Rio and gave him a golden moment he'll never forget. Team USA's second straight women's water polo gold capped an emotional journey for coach Adam Krikorian, whose brother suddenly passed away right as the Olympics started. 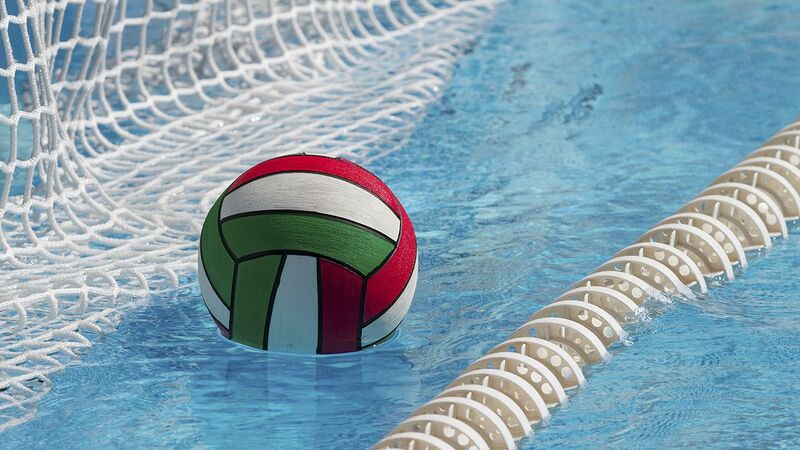 The U.S. women's water polo players don't care if the pool water is blue or green; it's all about winning gold. The 2012 Olympic champions are looking strong heading into the semifinals in Rio. Maddie Musselman was a natural on the soccer field and in the pool as a swimmer. But she ultimately chose water polo, following her older sister's example, and is headed to the Rio Olympics. The Americans won by "only" 30 against Canada, but they were kept under 100 points. Prior to the game, Team USA watched in amazement as the U.S. women's soccer team lost to Sweden. With a loss to Montenegro on Friday, the U.S. men's water polo team is eliminated from Rio. The team might give more playing time to their youngsters in their final group stage game on Sunday. Adam Krikorian, whose older brother Blake died last week, is doing the best he can to focus on the pool in Rio. The United States convincingly downed China, 12-4. Can Dejan Udovicic be U.S. water polo's savior? U.S. men's water polo coach Dejan Udovicic is on a mission to win Olympic gold -- if not in Rio, then in 2020 -- and has grand plans to grow the sport and create sustained success. A Rio Olympics official said the cause of water turning green at the Maria Lenk Aquatics Centre has been identified. Australia have come from behind to down Japan in the men's water polo and revive their hopes of advancing at the Rio Olympics. U.S. women's water polo coach Adam Krikorian leads team to 11-4 win over Spain, a week after his brother's sudden death. Julie Foudy of espnW learns how to belly flop with the United States women's Olympic water polo team. Julie Foudy of espnW has some fun with the United States Olympic women's water polo team.